Pakistani Super League (PSL ) has been started with the innaugral match of the first edition of the Pakistan first t20 league taking the place today. All local and also international fans have been eagerly waiting and the hype has reached out its peak of anticipation of the 24-match event the biggest event in the cricket history of Pakistan. The Pakistan Super League ( PSL ) management team has offered the fans of stream live cricket matches for free. In this article, we discuss about the official PSL app for the cricket lovers especially for the Pakistani and Indian and all other fans. 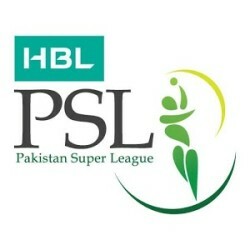 Here is the official logo of this PSL league. Pakistan Super League ( PSL ) official app is a biggest gateway for everyone in PSL. This app comes with the live match streaming facility, live scores card, live commentary, points table , next, previous matches, matches schedules and much more. Other than these functions, its main feature is that you know about every team, team’s player’s , Squads , latest news about PSL videos , photos etc. Here is the screen shot of this app for smart phones, android phones etc. This app can also support with the PSL Fantasy League. Players can make their own dreaming team and compete with their friends in this app. Winners can also get the exciting, and huge prizes. Those are eligible of this league, who has been registered in this app and via PSL Official website. In last word’s, its a fun of way to get out the stay updated with Pakistan No.1 1st T20 Cricket Super League.This app can be downloaded from Google Play Store . Or you can also visit the PSL Official Website via your smart phones or PC’s.